In light of the recent stance taken by the League City Council, which voted to ban the housing of illegal immigrant children, the following letter was sent to the Mayor and all the City Council members on Thursday, July 10. 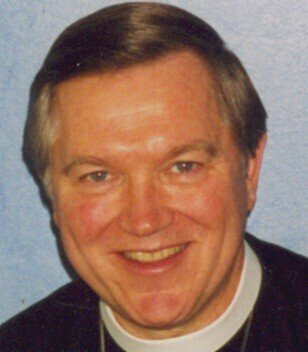 As stated in the document, this is the Rev. Tom Day's personal belief and not necessarily that of all the members of St. Christopher Episcopal Church in League City. Our country, our state, and our community are facing either a crisis or an opportunity, depending upon how one chooses to address the unfortunate situation of the thousands of immigrant children crossing our U.S. borders. Some are calling it a government crisis. Our president calls it a humanitarian crisis. But how should the Church view this unprecedented event? Holy Scripture is the source of wisdom for Christians who seeking answers to difficult situations. And make no mistake about it, this is a difficult situation. The influx of undocumented people across our borders has placed a huge burden on our economic system. The education and health care systems which are already strained, are pushed even further without the aid of additional tax dollars from those crossing into our country. There is no question this migration has challenged our normal way of life. But it is the history of our country to challenge the normal way of life. Challenging the normal way of life is how our country was birthed; people seeking freedom to live as they pleased and not as kings and governments dictated to them. After almost 240 years as a nation, we are still trying to figure out what is right. After fighting a war over slavery, battling over rights for women, struggling through the civil rights issues, human trafficking, immigration, and countless other human rights problems, we the people of the United States, still do not have all the answers. It is also the history of our Christian faith to be challenged when we have become too comfortable, and to be stir up when we have fallen asleep. Two thousand years after the birth of our Church, we are still struggling to find a proper response to difficult situations. Jesus tells us in Matthew 11: 28-29, "Come to Me, all who are weary and burdened, and I will give you rest. Take my yoke upon you. . ." Since this heavy burden of immigration has been placed upon us, maybe we should take on the yoke of Jesus and discern what He would have us do. The human race does not have a very good track record of handling difficult issues using our own reasoning and intelligence. We should have learned by now to seek wisdom from a higher source. So to borrow a recent popular Christian phrase, "What would Jesus do?" how do we think Jesus would handle this crisis? Maybe He wouldn't call it a crisis at all. Maybe he would remind us of the incredible opportunity which sits before us. When the disciples tried to stop people from bringing children to Jesus, He rebuked them and said, "Permit the children to come to me; do not hinder them; for the kingdom of God belongs to such as these." (Mark 10:14) I won't go as far to say coming to the United States is like coming to the Kingdom of God, but it is obvious that the children were important to Jesus and therefore should be important to us. What do we do to step into this opportunity? I certainly don't have all the answers. But I feel sure if Jesus was sitting on the City Council of League City, He would not turn these children away. Instead, I believe He would say, "Let the children come to League City so we can love them and care for them. We'll figure out the details after we feed them."